The other day, I went for a very difficult bike ride with a group of people much more advanced than myself. The first hour was fine, steep hills and all. But on the return ride, I got very tired. I mean, like, can I just put my bike in the trail car (Side note: trail cars are awesome! They follow you on the rode so other cars don’t accidentally hit you. I’m sure there’s some metaphor there too) and ride the rest of the way home? No, but seriously, can I? The leader of the ride is this man who races often and has been a professional cyclist prior to owning this cycling studio I attend. He is pro. He exudes pro. He was giving me all kinds of great tips the whole ride, and for the most part I appreciated them. And then… we hit mile 22ish. I was just done and I started to get frustrated with him telling me to push harder or go faster or catch up to the group. Have you ever been there? Someone telling you something you know you need to hear but just not wanting to hear it in that moment? Have you ever wanted to tell someone to go away, to stop talking, and to stop pushing you? I sure have, and not just in this cycling adventure. I do, however, notice this most when I’m working out. I need someone to yell at me and to make me keep going or I WILL stop, because I’m just so tired. But at the same time, it gets really annoying to have someone who is not struggling telling you to push harder. “Easy for you to say,” I always think (along with some words I maybe shouldn’t think, but don’t say out loud). As I was riding and fighting all these inappropriate and negative thoughts towards my “coach” God began speaking truth into my heart (because God knows I learn so well through metaphors!). We need people like this. We need people who are willing to push us, to tell us the hard things, to not let us give up. If we didn’t have these people, how often would we stop and never make it to where God is calling us? Then, something really cool happened. He came up right next to me and put his hand on my bike, all while we were both riding our bikes. He told me he was going to do what was called a “pro push” and he had me start pedaling the same speed he was going (which was too dang fast for me to do on my own). We did this for about 30 seconds and then he simply pushed me forward, giving me the momentum I needed to reach the rest of the group. Do I even need to explain that metaphor? I needed that push. Yes, I was frustrated with him for telling me to keep going and to go faster, and to work harder. But he wasn’t just speaking those things to me – he came along side me and gave me the push I needed to DO those things. Oh, friends. How we need people like this in our lives! I am reminded of a time I had unplanned surgery. Everything just felt so confusing. I didn’t understand what had happened and why I found myself sick in the hospital. I didn’t understand why I felt so terrible and didn’t seem to be improving once I was home and resting. I gave up on God a bit. I told Him I couldn’t keep praying because I didn’t know what to pray for and I didn’t even know what was going on. Shortly after I received cards and calls and messages from people telling me they were praying for me. This is what community is all about. We cannot do it alone – we cannot do anything alone. We NEED people pushing us, intervening for us, and carrying the burden for a bit for us. I’m not saying just let other people fight all your battles, but don’t do it alone. Find a friend, find someone to pray with you, to go with you, to stay with you. A week ago, I finally completed what could have been the hardest physical feat I’ve had to date. 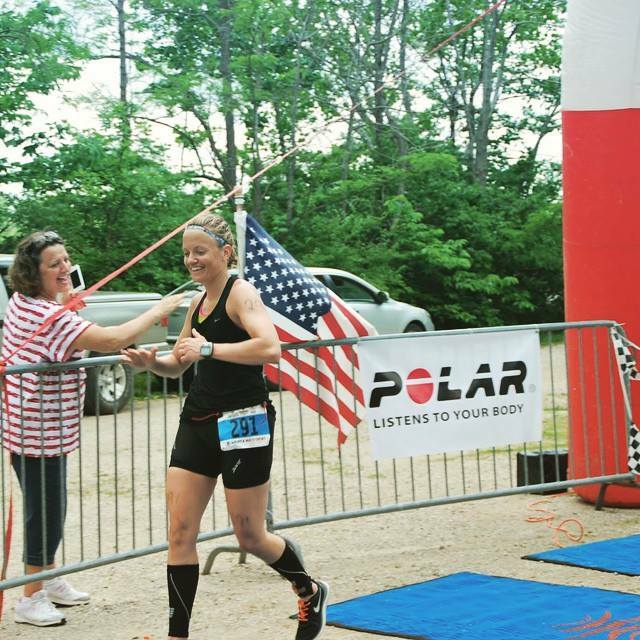 I did my first half-ironman distance triathlon. Throughout the training, I wanted to give up many times. I hated swimming, I never felt like I was improving, and the whole process took so much time. Throughout the race I continually asked myself what was wrong with me for thinking this was a good idea. It was long. it was slow. It was hot. But you know what, I had to keep going – in training and during the race – because I knew there were people waiting for me. People cheering me on. There were people on the sidelines fighting the good fight with me. And, like so many times in my life, I learned from this metaphor. I am unable to do anything on my own. I need Jesus, first, but I also need those He has placed in my life to push me. I need them to challenge me and pick me up when I am struggling. I need their words of encouragement. 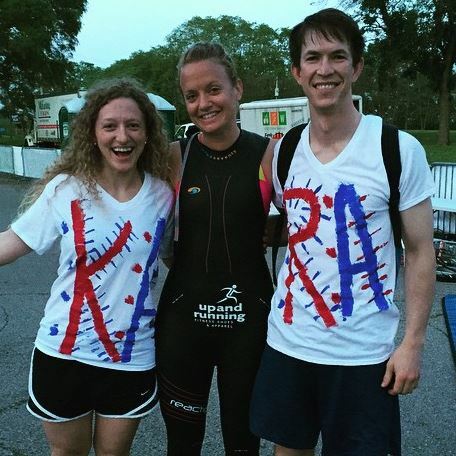 I simply need their presence to know I am not alone, even in the loneliest times (and believe me, when you’re traversing 70.3 miles, you sure are alone a lot). Are you engaging in community? I heard part of a sermon today where the preacher talked about getting out and engaging with people, loving on people, learning from people, serving people – and this, this is where you find the gifts the Holy Spirit has given you. To be strong and courageous, we need the Lord’s power. And sometimes He shows that power through those He has placed in our lives. Don’t miss it. I’ve Stopped Praying for Self-Control. For almost 10 years now I have battled with the same sins, the same struggles, the same issues in my life. They rise from insecurities, from doubts, from fear. Big or small, there are seasons where these struggles seem less and I am able to walk peacefully throughout life without much battle. Then there are times where I feel like I’m on a kid’s floaty raft in the middle of the raging Pacific ocean. So, for these 10 years off struggling, I’ve been praying for God to give me self-control. Today, I decided to stop praying for self-control. Notice how the phrase starts with the word “self.” I was asking God to help me do something on my own. I thought by praying I was asking for God’s help and hoping he would then be a part of it, so I was relying on him. But, when I started praying for self-control again recently, I was deeply convicted about what I was praying for. I am not saying self-control is a bad thing. It is a fruit of the Spirit! I teach my clients about self-control all the time. 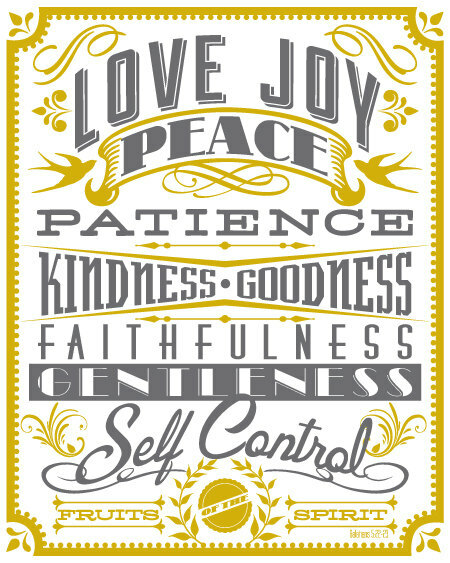 We need it, and I believe God does help us with self-control. But, I believe what he first wants is for us to give something over to him and to rely on HIS STRENGTH to get us through and move us on. In his time, by his ways, and then build within us the control to rely on him and the strengths he has built within us through the process. Are there areas you struggle with on a consistent basis? Have you given them to God and learned to call on him first when the battle rages? Start there, let him show you his power and build the strengths you need to fight.